When will be Birds of Paradise: The Ultimate Quest next episode air date? Is Birds of Paradise: The Ultimate Quest renewed or cancelled? Where to countdown Birds of Paradise: The Ultimate Quest air dates? Is Birds of Paradise: The Ultimate Quest worth watching? 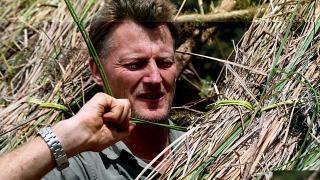 Frank Gardner and Benedict Allen journey through Papua New Guinea. Gardner is pursuing a lifelong dream to see birds of paradise, while Allen is returning to the tribe he abandoned 30 years ago. BBC security correspondent Frank Gardner has dreamed of seeing birds of paradise since he was a young child. But that dream died in 2004 when he was shot by terrorists. A chance meeting with explorer Benedict Allen changed everything. 30 years ago, Benedict lived in Papua New Guinea with the Niowra, a remote people. They thought he would live amongst them forever but he abandoned them. Intent on returning, Benedict pledges to take Frank with him. Together they set out on an incredible journey, through some of the most inhospitable terrain on the planet, to make it up into the cloud forest where the birds live. Benedict is determined to get Frank there despite the wheelchair. But as they approach Benedict's old village, brutal secrets from the past come back to haunt him. And Frank hears that in nearby hills he might get an early sighting of a bird of paradise. This time, the terrain is getting even tougher, and they must make an epic journey into the highlands, crossing through two tribal territories. But as Frank gets close to realising his dream, his old injuries return to haunt him and the expedition hangs on a knife edge. 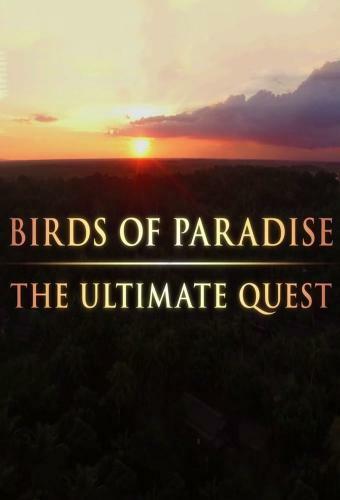 Birds of Paradise: The Ultimate Quest next episode air date provides TVMaze for you. EpisoDate.com is your TV show guide to Countdown Birds of Paradise: The Ultimate Quest Episode Air Dates and to stay in touch with Birds of Paradise: The Ultimate Quest next episode Air Date and your others favorite TV Shows. Add the shows you like to a "Watchlist" and let the site take it from there.